Booking Self Catering Cottage on the Isle of Mull. Bookings are from Friday to Friday and full weeks only. Prices include all bed linen, towels and electricity. See the bottom of the page for full terms. Please note that Christmas and New Year bookings are required upfront in full and are non refundable. 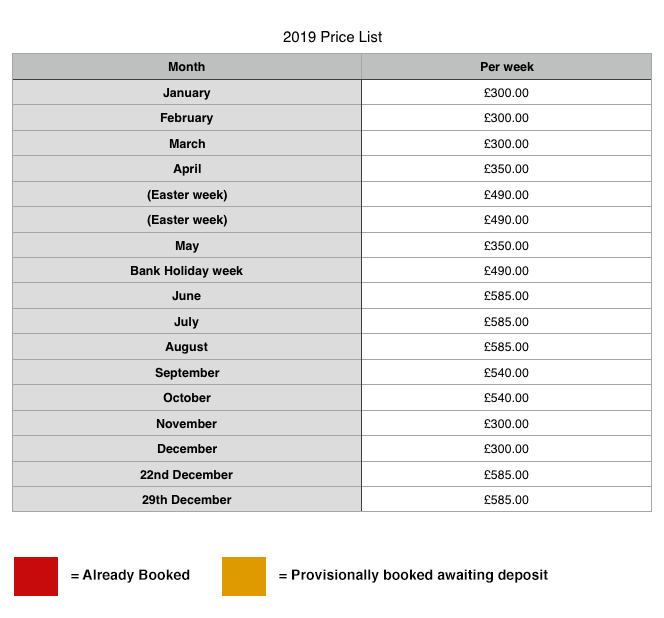 Book the cottage using our booking diary and form below. Please note that we require a 25% deposit to be paid within 24hrs of your booking. A non refundable deposit of 25% is required to confirm the booking. (we will refund the deposit if we can rebook the week) Please note that Christmas and New Year bookings and deposits are non refundable. The full balance is due 6 weeks prior to arrival. If for any reason you need to cancel your booking within 6 weeks prior to booking start date, we will refund your balance only if we are able to re-let the property. Clachan Cottage is a non smoking property. Well behaved dogs are welcome. We kindly ask you not to allow your dogs on the furniture or upstairs and that you kindly use the hoover provided before leaving the cottage. You may arrive any time after 4pm and please vacate the property by 10am on the date of departure. Linen and towels are provided but if additional housekeeping / bedding / towels are required for additional weeks, there will be a small charge. Please do not take the towels outside the cottage. Please leave the cottage as clean and tidy as you found it. We will liaise with you shortly before your arrival date to help with directions and keys. Clachan Cottage has a housekeeper who will prepare the cottage and beds for you. There will be a toilet roll, washing up liquid, and soap for you. The code to the free wifi access will be provided. Travel to the island is your responsibility, we are not liable for any CalMac Ferry cancellations.